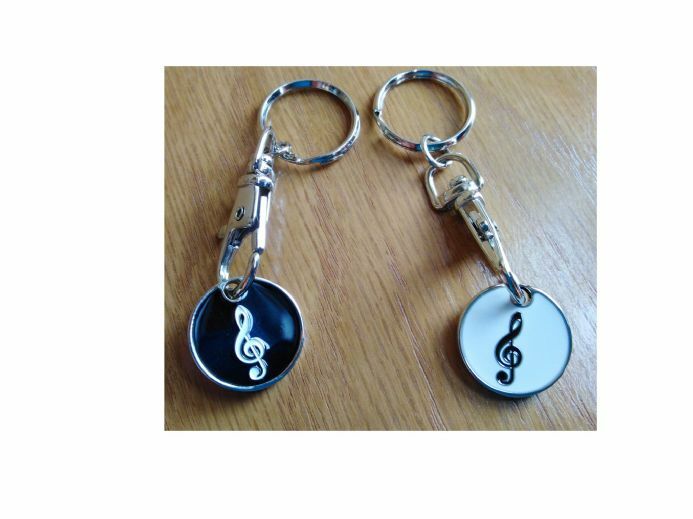 Keyring with trolley token in a treble clef music design. This keyring has a trolley token with a treble clef music design. On one side the treble clef is black on a white background and on the other side is a white treble clef on a black background. A very useful gift for the music lover.